Credit is a tricky thing to manage – you need debt to increase your credit score, but you can easily slide down a rocky slope as you try to pay off credit cards and loans with high interest rates making monthly payment unmanageable. If you are like the thousands of other Americans who have hit rock bottom financially and are thinking about filing for bankruptcy, here are 7 things you should avoid doing until you are back on your feet. Don’t take out new debt. 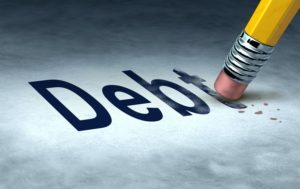 If you have gotten to the point where bankruptcy is your best option, it can be tempting to take out new debt with the intention of having it wiped out. This can count against you if you do decide to file and you would still be liable for that debt. Don’t add new debt to your current credit cards. In that same vein, avoid putting any new charges on your credit cards for at least 90 days before you file for bankruptcy. If you have to use your cards, talk to a bankruptcy lawyer, like those at Dove Law Firm, to see how this could hurt your chances of filing. Don’t use your retirement accounts to pay off bills. Sometimes people are desperate to pay their credit cards and will even drain their retirement funds to do this. In a bankruptcy filing, you are allowed to keep retirement funds, so instead of utilizing funds you will need in the future, you may be able to get that debt written off. Pay attention to who owes you money when you are filing. Timing is crucial in a bankruptcy case. If someone owes you money, like in a lawsuit, the trustee in your case could collect that money and use to pay your creditors. Be careful not to file if you are owed money for a tax refund, either. Again, the trustee could take your refund and use it to pay your creditors if you don’t file with the correct exemption. A tax attorney can help you with this matter. Don’t rush into bankruptcy as your only option. There are different types of bankruptcy, but you are only allowed to use this to discharge debt under certain time limitations. You may have other solutions. Do not try to file bankruptcy yourself. The new bankruptcy laws are extensive and make personal bankruptcy petitions extremely difficult. You do not get legal counsel from the bankruptcy court clerks and trustees, and it is highly likely you will miss something in the filing that will cost you money. Check with a bankruptcy lawyer before you make any official moves to file. You are not alone if you’re at the bottom of a huge financial hole. So many people are in your similar situation that there is a lot of help available. Call a bankruptcy attorney today to see if bankruptcy is the way to go or if you have other options available that you may not know about first.